Gorgeous cover for new Alpha & Omega book! Fresh from Facebook — here’s the cover of the upcoming new Alpha & Omega book by Patricia Briggs! Burn Bright will be released in March 2018. Doesn’t this look amazing? 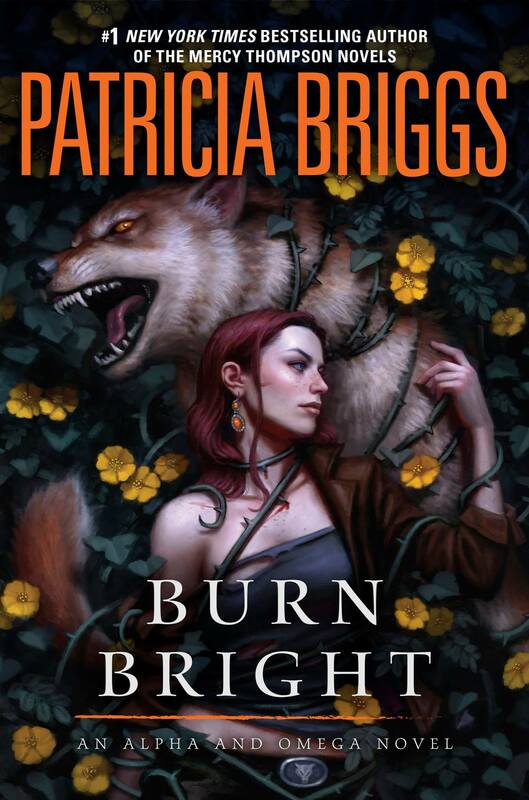 Burn Bright is book #5 in the series, a spin-off from the Mercy Thompson series (which I adore as well), starring werewolf couple Charles and Anna. If you haven’t read these amazing books yet, you have from now until March to get caught up! There’s no preorder link available yet on Amazon… but believe me, I’ll be pouncing on it as soon as it’s there. That’s truly an amazin cover!! Sigh… can’t wait to have it in my hands! It’s so gorgeous! Definitely one of the best Mercy Thompson world covers!